Home › • SARJAN HASSAN / HIRAX split 7"
• SARJAN HASSAN / HIRAX split 7"
California raging thrash legion, HIRAX (started in the early 80's together with other mammoths of thrash bands, EXODUS, SLAYER, METALLICA etc) comes alive to join forces with this millennium sloshed crossover-thrash platoon from Malaysia, SARJAN HASSAN in this furious EP split. 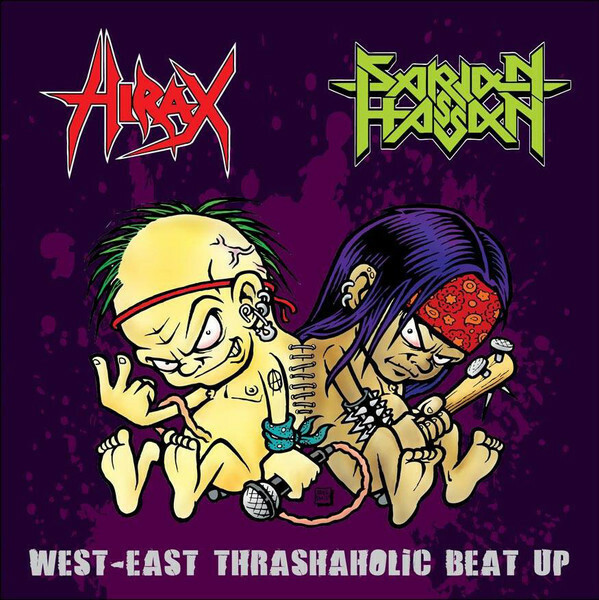 HIRAX brings out hell in their fast and brutal track while adding another champion track where they still rip hard live. SARJAN HASSAN goes on blitz with two attacks of fuming thrash tracks with the strike of that crossover slugs killing it.